Trenton murder victim diagnosed with a mental illness was repeatedly robbed by 'street hustlers' | Homicide Watch Trenton | Mark every death. Remember every victim. Follow every case. Rodney Burke lived in housing provided by Greater Trenton Behavioral Healthcare and he was moved to South Broad Street about a month before he was murdered. 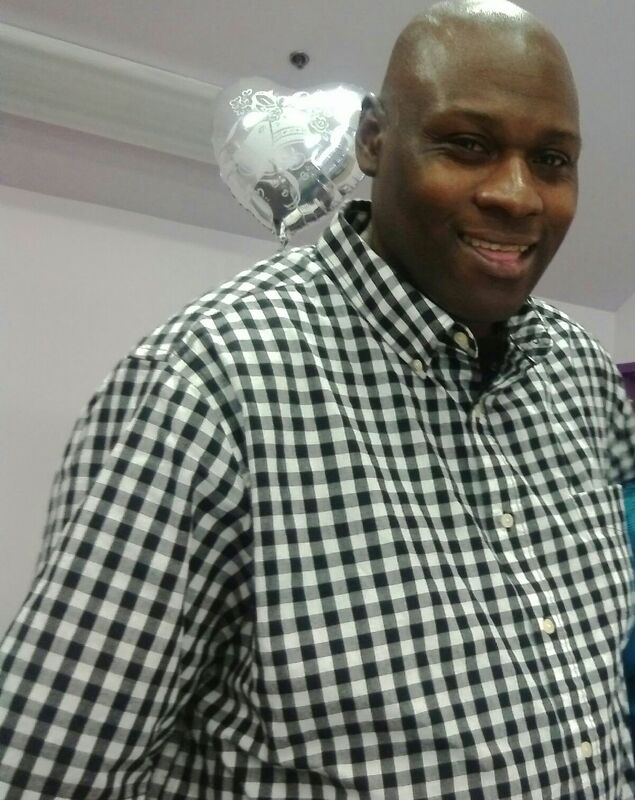 Burke, 48, used to live on Hamilton Avenue, where store owners and a small community of street hustlers did their best to protect him from harm. But when he moved to South Broad Street, Burke was no longer protected by people who understood his mental state. That left Burke vulnerable to gang members, drug dealers and other street hustlers who saw an opportunity to take advantage of him, according to family and friends. Burke was shot and killed on Nov. 4. He was found inside his home, but police believe he was shot elsewhere. Prosecutors have charged Kenneth Hines and Alexandria Gomez with murder and conspiracy in connection with Burke’s death. Prosecutors say the pair conspired to commit a robbery, which resulted in the killing. Sadly, that wasn’t the first time Burke had been robbed. Family and friends say he was repeatedly beaten and robbed for at least the past three years. According to his mother, at the age of 18, Rodney Burke was diagnosed with schizophrenia. His mother also said Rodney had a “lower than average” IQ, but she could not remember the score of his latest intelligence test. 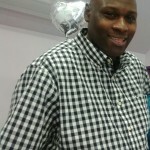 Store owners and street hustlers on Hamilton Avenue described Burke as having the personality of a young child who would never harm anyone. Burke was originally from New Brunswick. He graduated from Bonnie Brae, which is a school for eight to 18-year-old boys in crisis. His family and friends in New Brunswick called him “Bow Leg,” but his friends in Trenton knew him as “Bubba.” Business owners on Hamilton Avenue said Burke was unlike others who walked the block looking for money: instead of asking for a free handout, he asked for work. Gloria Burke said her son was beaten and robbed repeatedly over the course of a year while living in New Brunswick. Rodney was then readmitted into Trenton Psychiatric Hospital, Gloria said, where he received treatment for about seven months before entering a transitional housing program. Gloria said she wanted Rodney to move back to New Brunswick, but he refused. So, about a year and a half ago, Burke moved into an apartment building on Hamilton Avenue occupied by at least seven other people who are in transitional housing programs. John Monahan, CEO of Greater Trenton Behavioral Healthcare (GTBHC), declined to comment on several questions, but he said, “We have security staff that work with us whenever there’s a client that needs any kind of support.” Monahan would not disclose the name of the agency that provides security for GTBHC clients. The organization’s tax forms, which are very detailed and seemingly transparent, do not list an itemized expense for security services. Burke’s family and friends say security was not provided for any of the occupants of the apartment buildings on Hamilton Avenue and South Broad Street. They also say Burke was repeatedly robbed each month. Rodney’s family said they never notified police about the robberies, but “the counselor was aware of what was going on at that house,” his sister Crystal Burke said. Several people interviewed for this story said street hustlers with guns used to wait outside of the Hamilton Avenue building and force Rodney to let them inside. Once inside, the gunmen would kick in all of the apartment doors and rob the tenants. Crystal said she has chased several “young guys” who she knew did not reside in the building off of the porch. In fact, several people said Rodney was often afraid to walk home, which was about two blocks from the businesses where he felt protected. Burke’s family said they notified his case manager about the incidents several times, but the counselor believed Rodney was the cause of the break-ins. Crystal said her brother often wept when he told her about the men who were repeatedly robbing him, and that he sometimes asked people he trusted to stay in his apartment as guardians. But that too upset Rodney’s case manager, Crystal said, because others in the building complained. 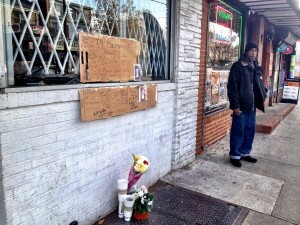 Due to the number of break-ins on Hamilton Avenue, Rodney was moved to the building on South Broad Street about a month before he was murdered, Crystal said. Researchers have found that people with intellectual disabilities have a four to 10 times greater risk of becoming victims of crime compared to those without disabilities. But there is no way to know exactly how many people with intellectual disabilities are victimized in the U.S. each year. Licensed psychologist Dr. Nekeshia Hammond has never met the Burke family and she knows nothing about the circumstances surrounding Rodney’s living situation and untimely death. But she said “in general there needs to be more security for people with disabilities” who have been transitioned to live amongst society. “This is a social issue and it’s problematic,” Hammond said.